Cinema Beef is here with another western..... Yes it is show five for the Walter Hill retrospective. 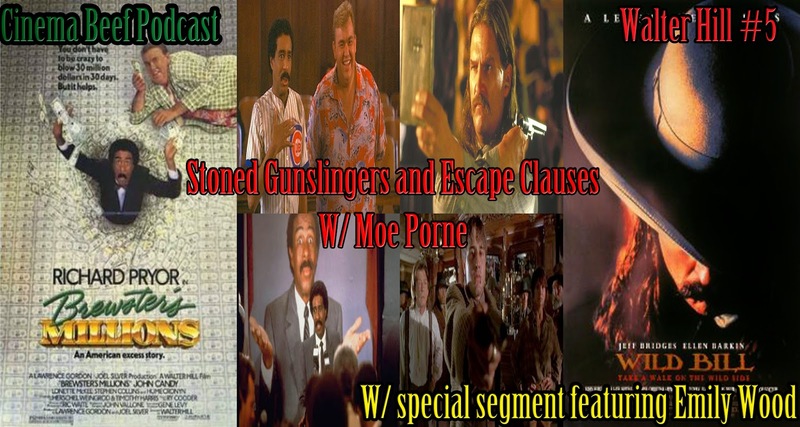 I am joined by Moe Porne as we talk about two more films in his arsenal. First up, we talk about aging hippy lawmen and the people he shoots in Wild Bill from 1995. Then, we talk about the urge to spend obscene amounts of cash with Richard Pryor of all people in Brewster's Million's from 1985. No TZ segment this time around but it is replaced with a review by the lovely Emily Wood. We talk about the rise and fall and rise again of an aging British rock band in Still Crazy from 1998. This will serve as a pilot episode for a new project called The Bird and The Beard! Enjoy!